Trade creation refers to the increase in economic welfare from joining a free trade area, such as a customs union. Trade creation will occur when there is a reduction in tariff barriers, leading to lower prices. This switch to lower cost producers will lead to an increase in consumer surplus and economic welfare. Removing tariffs reduces the price of imports from P1 to P2. Quantity bought rises from Q3 to Q4. However, that is not the full story, reducing tariffs has two drawbacks on domestic producers and government tariff revenue. 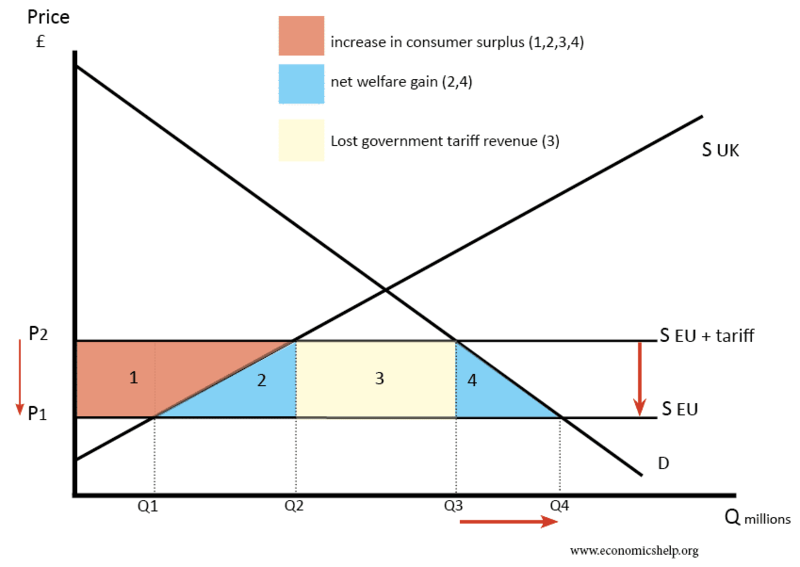 However, the diagram shows there is a net gain from removing tariff barriers. The elasticity of demand and supply. 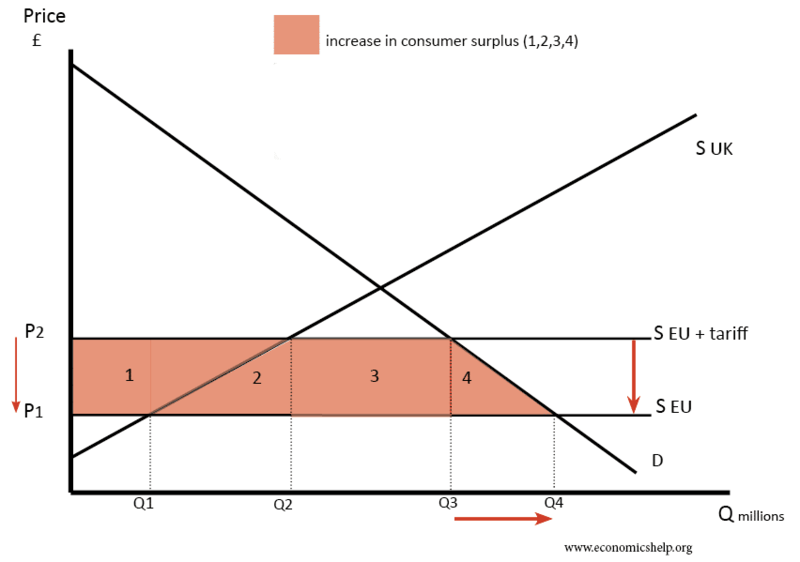 If demand and supply are inelastic, the net gain will be much lower. However, there are more potential benefits of reducing tariffs. If you cut import tariffs, other countries are likely to reciprocate and reduce tariffs on your exports. Therefore, there will also be an extra benefit from increased exports. Often domestic job losses are more visible, than the gains from cheaper prices. If domestic producers lose out significantly, this may have a higher political impact than slightly lower prices for the majority of the population. It could lead to structural unemployment as the unemployed workers struggle to find jobs in new export industries.